When I saw the Grateful collection, I knew I wanted to create a project that featured each and every lovely, detailed piece of this collection. 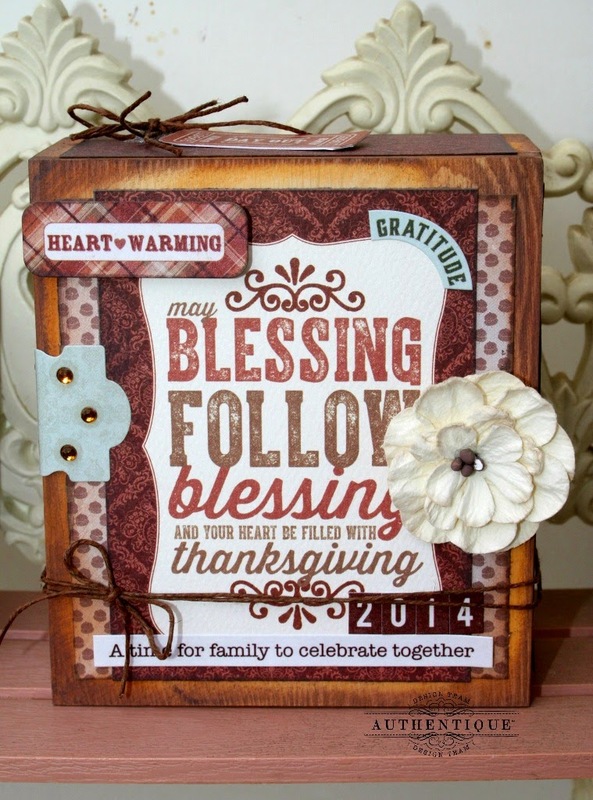 These wooden blocks by SPC were the perfect starting point for my Thanksgiving craft project. I started by distressing the blocks with Peanut Brittle and Rich Cocoa Ink. 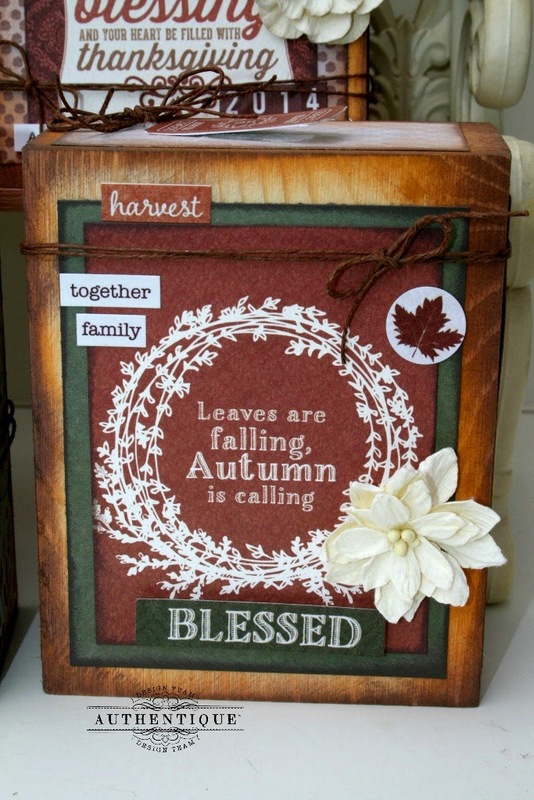 Next, I covered each side of the blocks with distressed patterned paper and diecuts. Lastly, I added Grateful diecuts and stickers, as well as, Petaloo flowers, Want2Scrap bling, and twine. The blocks turned out great. I love how unique each one is from the next. 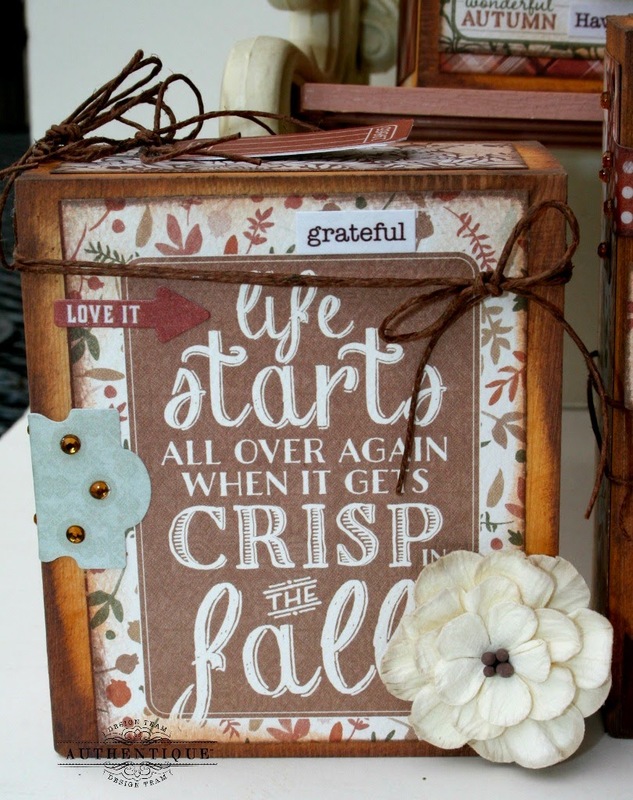 These decorative blocks were so fun and easy to create with the Grateful collection. 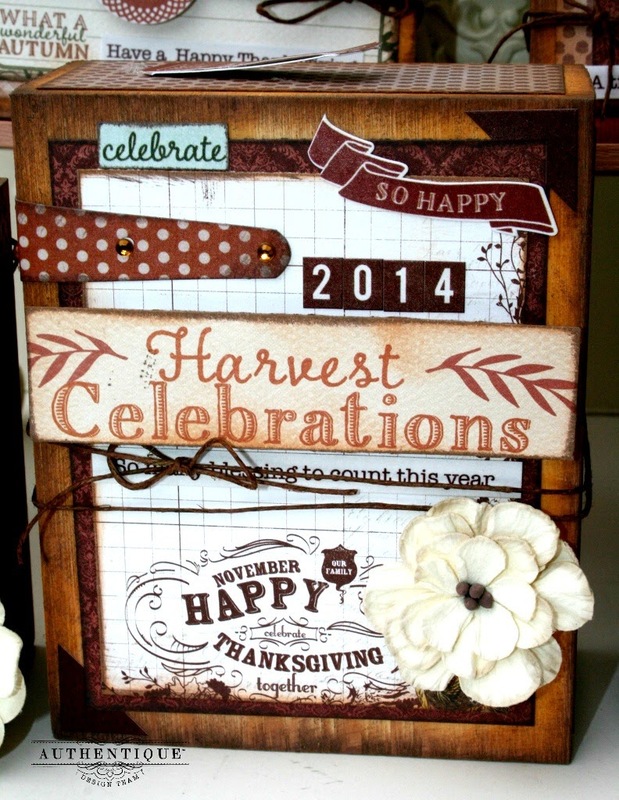 The diecuts, stickers, and patterned papers coordinate so beautifully, making layering a snap. 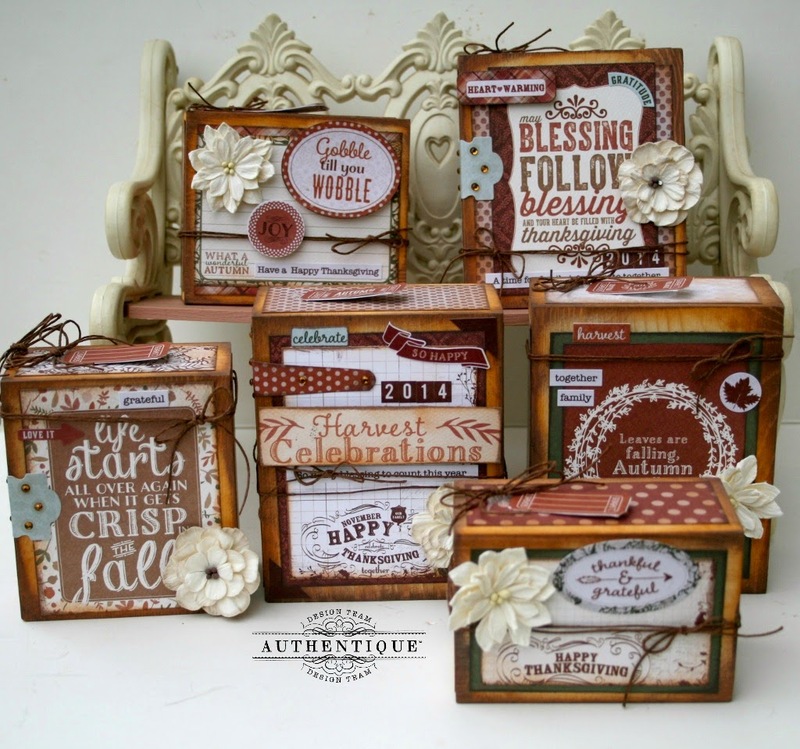 Try creating these altered blocks with any of the collections from Authentique. Authentique "Grateful" collection: "petite type" alphabet sticker, "petite diction" mini word sticker , "enhancements" 12x12 paper, "details" 12x12 cardstock sticker, "components" 6x12 paper die cut, 6x6 "bundle"
Hello, I'm trying to purchase the wood blocks and am having trouble finding them. You said SPC, but that that website looks like it's a community and not a company that sells anything. I also googled SPC surfaces and couldn't find anything either. please help. thanks! Those look really great. I am also curious where you would get the boxes. These are so rustic and pretty!